Why does lettuce always end up being the sidekick, like Robin? Something that you throw in to make up the numbers or fill empty spaces. While I have serious doubts regarding Robin’s capabilities of playing the lead, I have no such reservations about lettuce. A head of fresh, crisp iceberg can absolutely be the hero of a dish. I cast it in a starring role when I made Asian-style spinach, lamb and vermicelli lettuce cups – a dish that’s light and healthy and yet a big hit because of its big Asian flavours. 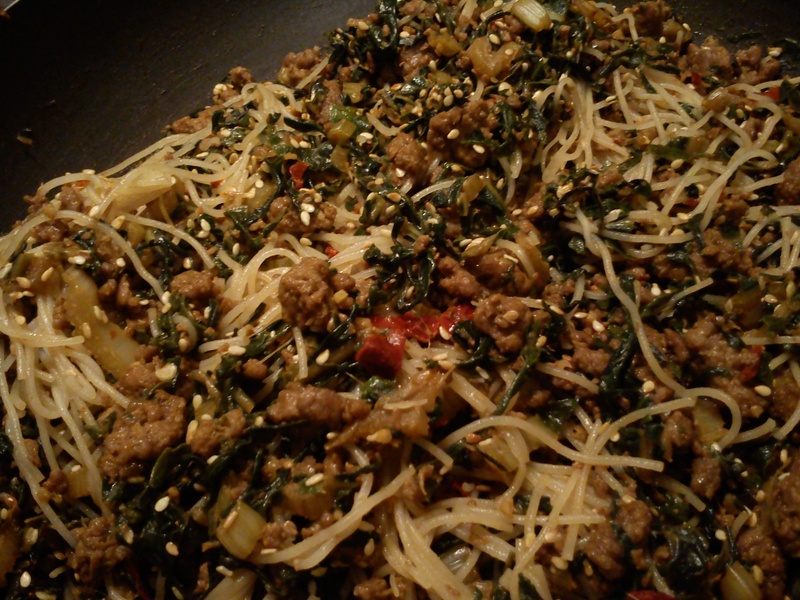 This is one of those dinners that I made up as I went along, so use whatever protein and vegetables you may have for the filling, but make sure to serve it in crunchy lettuce leaves, which can be dipped in wasabi-soy for that extra hit. Bring water to boil in a large pot, turn off the heat, add the vermicelli, cover and leave to cook for 5-7 minutes, rinse under cold water and drain in a sieve. Set aside. In a wok or pan, heat sesame oil and quickly fry minced ginger and garlic with some sugar for a minute or two taking care not to burn. Add the lamb and stir fry on high heat till browned and semi cooked. Now toss in the spinach and red chillies and fry for a further 7 minutes till cooked but not soggy. Add soy, vinegar and cook for a minute more before mixing in the vermicelli. Check the seasoning and finally sprinkle the sesame seeds over the filling. Spoon this filling into lettuce leaves (shape into rolls if you want) and serve with wasabi-soy.